You are currently browsing the tag archive for the ‘Julia Morgan’ tag. ASBA’s traveling exhibition, Following in the Bartrams’ Footsteps has arrived at its final venue in Northern California, in the beautifully restored Julia Morgan-designed Girton Hall at the University of California Botanical Garden at Berkeley. The exhibition will be on display from December 15, 2014 – February 15, 2015. Consisting of 44 original works shows the native plant discoveries made by father and son, John and William Bartram throughout the Eastern United States from the 1730s through the 1790s. This exhibition at UC Botanical Garden at Berkeley is the only West Coast showing. View the artwork on the website and see a list of the artists and artwork in the exhibition. The Garden is also offering three notecards from the exhibition in mixed packages of six or individually, sold in their Garden Shop. All proceeds benefit the Garden. Three lectures are being offered as part of the outreach around the exhibition: Carol Woodin, ASBA Exhibitions Director, is giving a lecture today, December 19 about The Legacy of the Bartrams. Dr. Peggy Fiedler will present Fathers & Sons: A Journey with the Bartrams, Hookers and other Famous Families in Western Botanical Science, Art and Exploration on Saturday, January 31, 2015 from 1 pm – 3pm. The third lecture, titled Maria Sybilla Merian: A Passion for Plants & Insects will be given on Thursday, February 5, 2015. To register, and for more information, visit Bartrams events page on the garden website. Additionally, Catherine Watters will teach An Introduction to Botanical Art with graphite, colored pencil and watercolor on Thursday, January 22 and Friday, January 23 from 10 am – 4 pm each day. All levels are welcome. Registration for this workshop is also located on the Bartrams events page. Catherine Watters, ASBA Director, developed a fundraising campaign that enabled the exhibition to come to California. A catalog of the exhibition may be purchased from ASBA’s website through ArtPlantae. Exhibition hours for Following in the Bartrams’ Footsteps are 10 am – 4pm daily during days when the garden is open. Driving directions, admissions information and other information are available on the garden’s website. The University of California Botanical Garden at Berkeley is located at 200 Centennial Drive, Berkeley, CA 94720-5045. Phone: 510-643-2755. 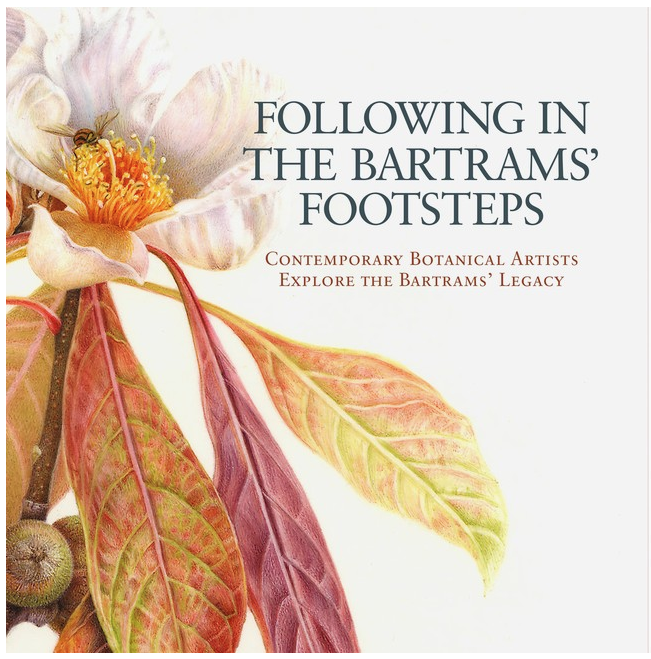 While you’re visiting the Bartrams’ exhibition, be sure to stop in and see Plants Illustrated: Following the Garden’s Path, the 6th Annual exhibition of botanical art, featuring work by the Northern California Society of Botanical Artists. This year’s exhibition focuses specifically on plants in the Garden’s collection. The exhibition will be on display January 7 – February 15, from 10 am – 4 pm. There is an opening reception on Saturday, January 24 from 4:30 pm – 6:30 pm where you can sip wine, meet the artists, and see the show. Registration is required, and can also be found on the Bartrams events page on the garden website.